Pin Dave Harms down and this veteran nurseryman admits you can’t top a live, fragrant pine for Christmas. 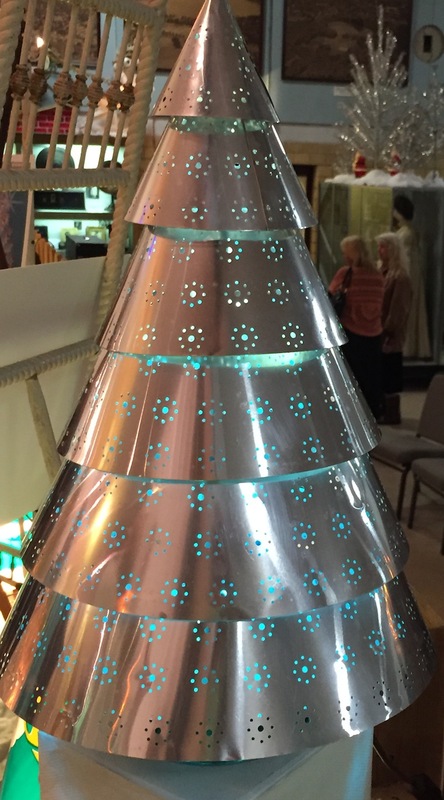 But that said, if you are going to embrace an artificial you could do a lot worse than a vintage aluminum tree. 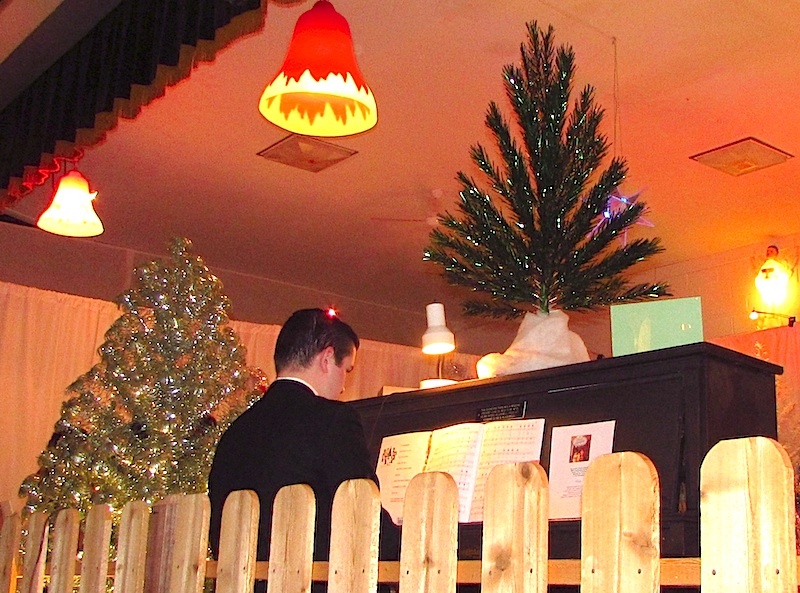 Germany may have exported ornaments here, but the aluminum Christmas trees he hung them from were homegrown. Trees were 2 to 8 feet tall, in colors that ranged from pink to teal. Some were flocked. 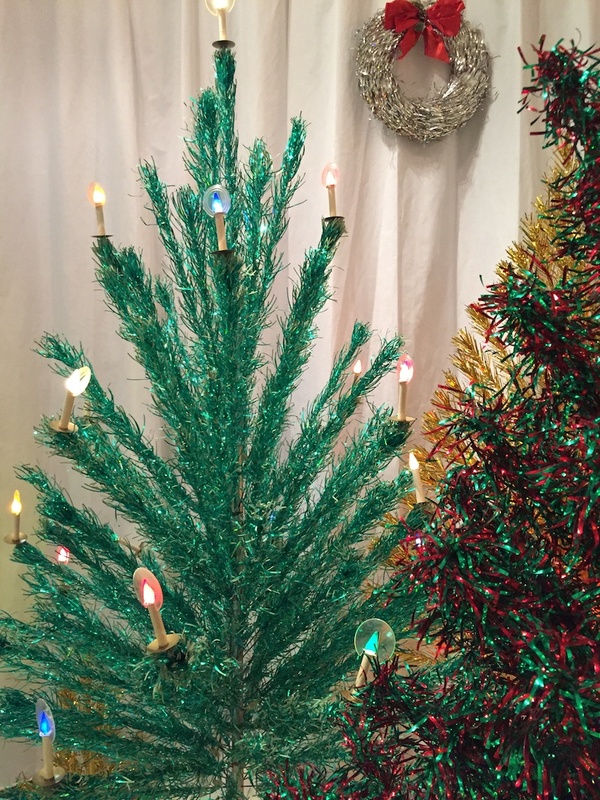 Others boasted lights on the branches or in the base. 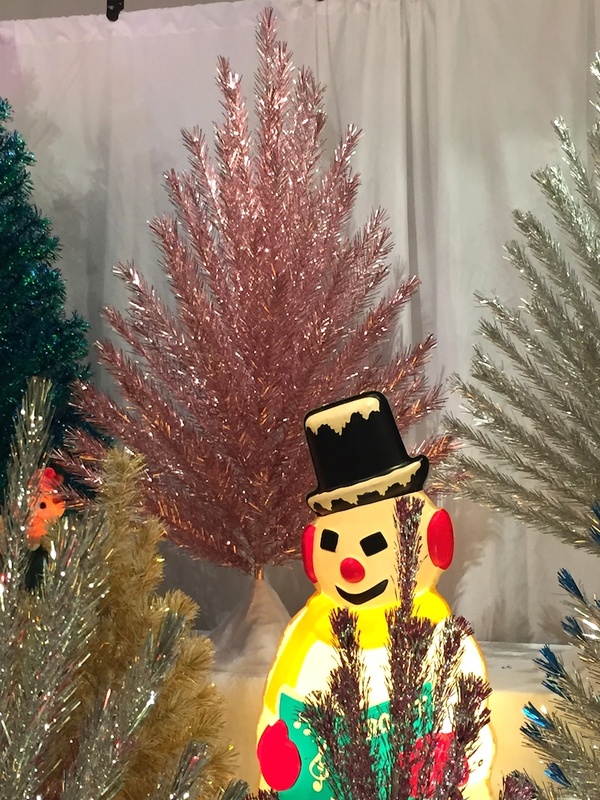 Manufactures included Metal Trees Corp., Holi-Gay Manufacturing and Flocking Specialties Inc. in Chicago; and Aluminum Specialty Co. and Mirro Aluminum Co. in Manitowac, Wis. 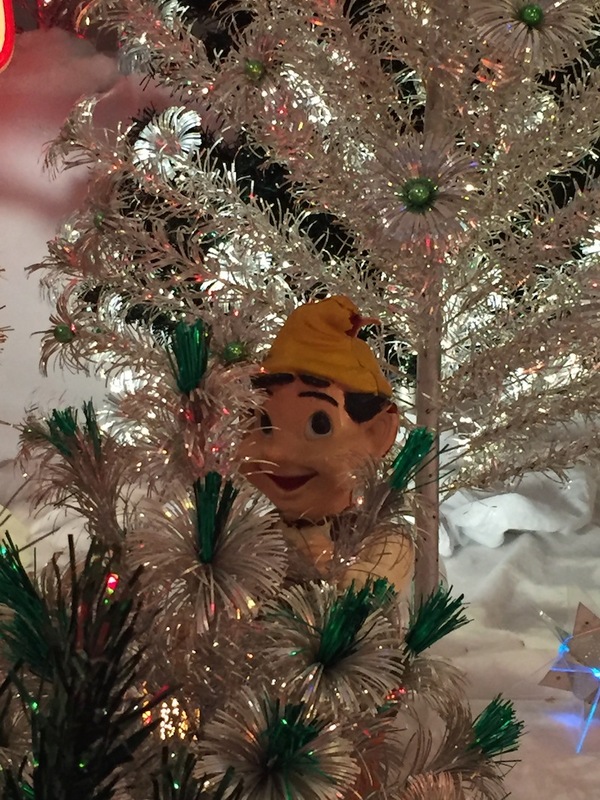 It is estimated Aluminum Specialty, alone, sold some 4 million signature Evergleam brand trees between 1959 and 1969. After all, they were novel, shiny and spoke to a nation fixated on technology. “I see it as a moment in time, when we had space exploration coming on and all of these new things being made out of aluminum,” Harms said. 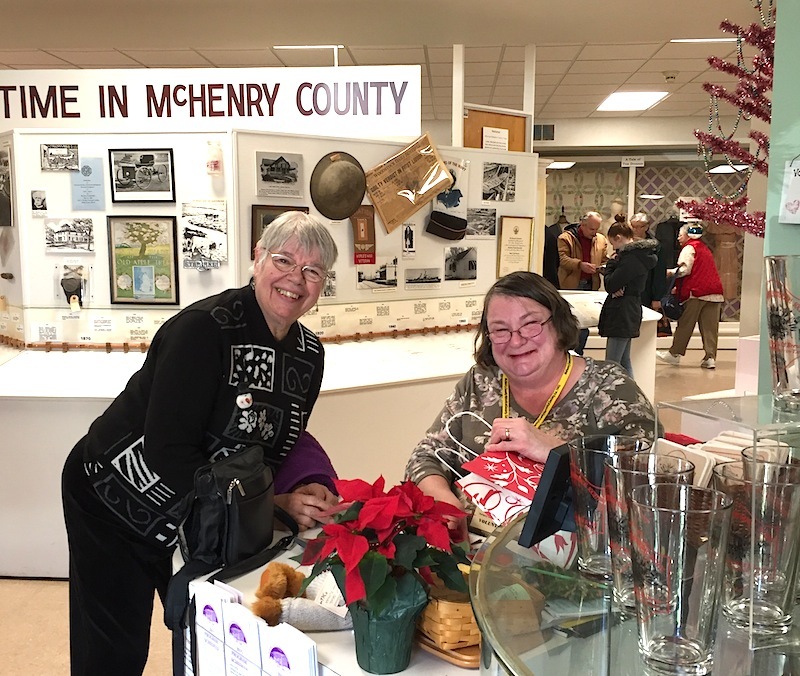 Harms and his antiquing partner, Lynne Eltrevoog, are bringing about 70 aluminum trees, manufactured between 1958 and 1969, to the McHenry County Historical Society Museum as part of this year’s Holiday Open House. 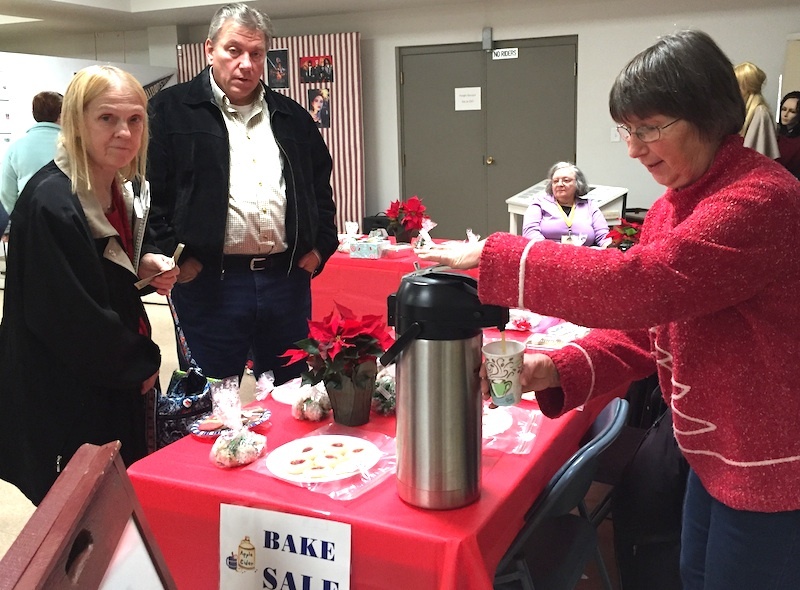 Harms has staged holiday displays at the museum for the past nine years. 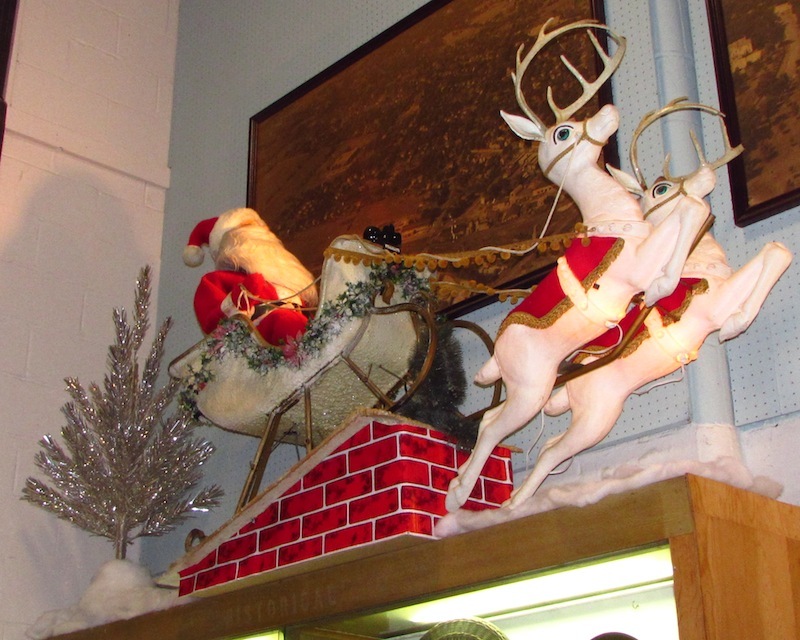 He began collecting Christmas memorabilia in 1980, when he first set out to find a lighted tree stand like the one his grandparents used when he was a child. Fearing the stand would leak and short out the lights, Harms said, they never turned it. 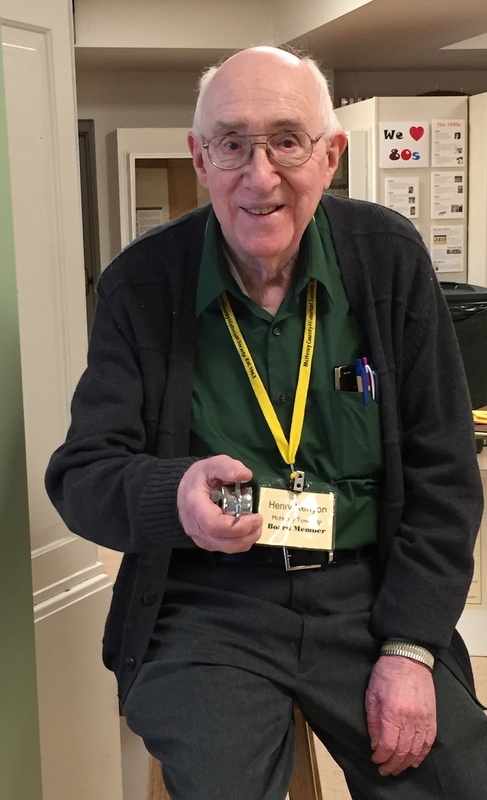 “The fact that grandpa and grandma never had it working drove me nuts,” said Harms, who grew up in Morton Grove and now lives in Crystal Lake. 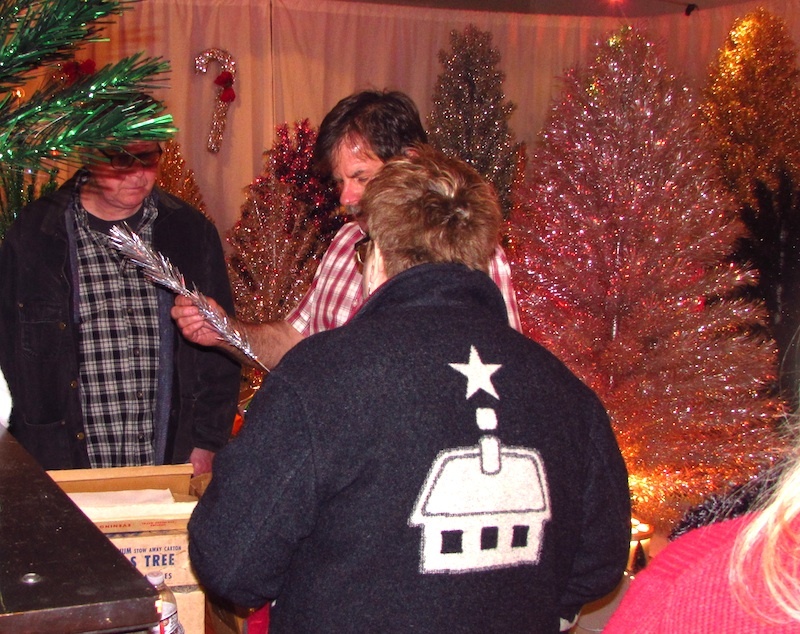 The wintery feel of the aluminum Christmas tree forest is completed by white backdrop, donated by Miceli Drapery Co. of Union, and by many holiday pieces Harms has collected during the more than 35 years he as been a member of Golden Glow of Christmas Past – a worldwide club for collectors of antique Christmas items. 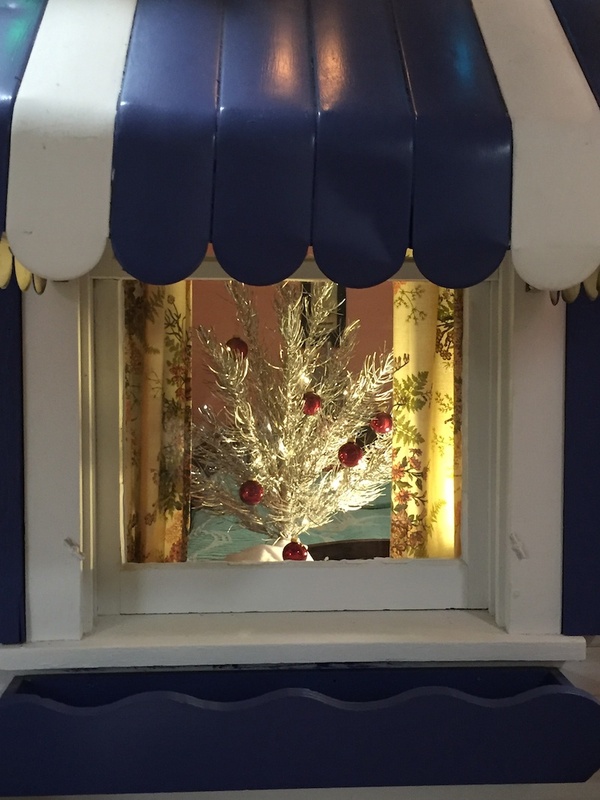 They include molded elves and angels; plastic 5-foot Santas and a snowman, once given away by Polk Bros. appliance and furniture stores in 1962; as well as color wheels, aluminum candy canes, lighted decorations, sleds, a working Lionel train. 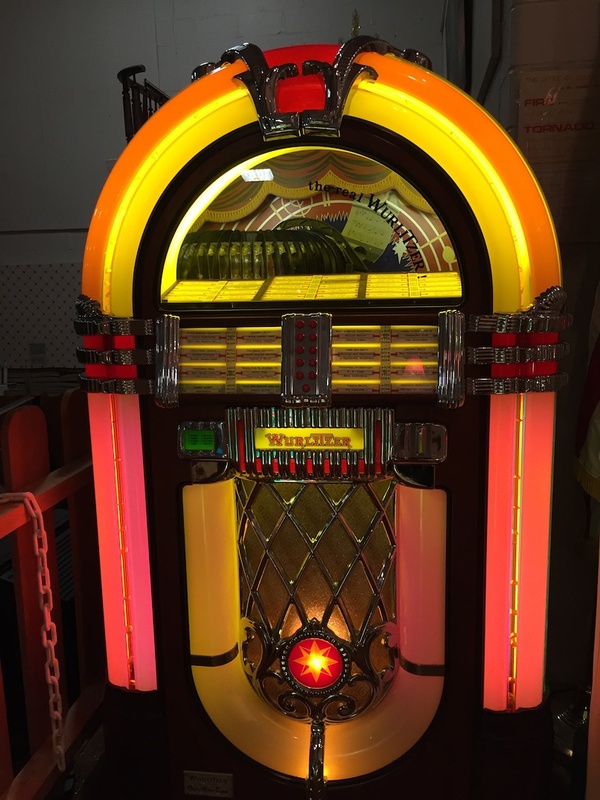 Vistors also will have an opportunity to play Christmas 45s on a working Wurlitzer jukebox ($1 donation per song). 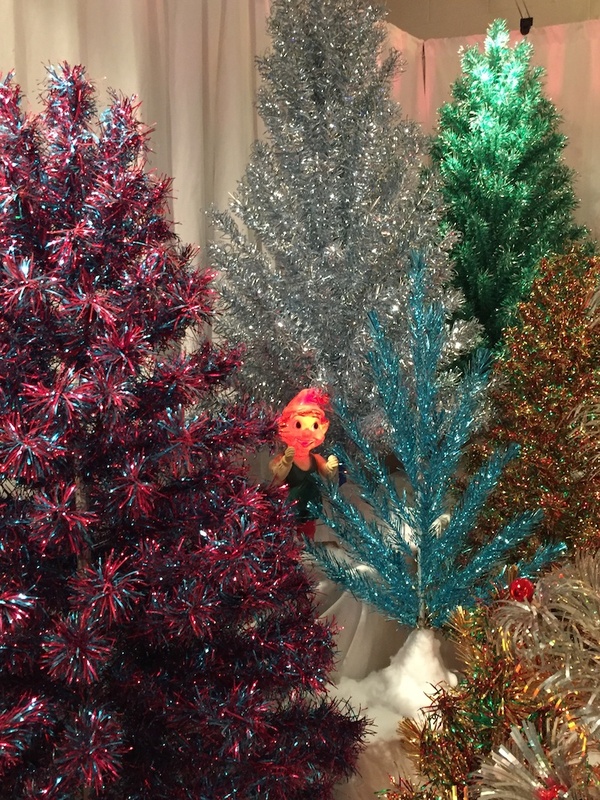 The aluminum Christmas tree forest will remain on display from 1 to 4 p.m. Tuesday through Friday Dec. 8 through Jan. 8 and on weekends by special appointment. Regular museum admission ($3 to $5) applies to nonmembers. Society members pay nothing. For information call 815-923-2267 or visit www.GotHistory.org. The museum is closed Dec. 24, 25 and 31, as well as Jan. 1.